A Florida judge has dismissed an ambulance Medicare fraud complaint brought by a former EMT whistleblower and the U.S Department of Justice. Such dismissals are extremely rare. The defendant, Liberty Ambulance, shouldn’t be celebrating just yet. The court gave the government an opportunity to refile the complaint. In 2011, EMT Shawn Pelletier filed a complaint under the False Claims Act against his two former employers, Century Ambulance and Liberty Ambulance. He also named four hospitals in the Jacksonville, Florida area that he claimed were aiding and abetting the ambulance companies’ fraud. Pelletier said the two ambulance companies were transporting people by ambulance that didn’t qualify. Medicare rules say the government will only pay for ambulance transport if “medically necessary.” Patients can pay for private ambulance service if they choose, but taxpayers won’t pick up the tab for Medicare and Medicaid patients unless there is proper documentation showing a medical need. We are aware of nursing homes, hospitals and dialysis clinics that sometimes sign medically necessity forms either as a “favor” for ambulance crews or because they want the convenience of having someone available to move patients that don’t have transportation. The government contends, however, that there are much cheaper ways of moving patients such as taxis and wheelchair vans. Pelletier claims he personally witnessed Medicare forms being signed even though there was no medical necessity. Is that enough to bring a complaint? In some states the answer is no. As whistleblower lawyers, we often struggle in Medicare fraud cases. Most whistleblowers don’t have access to Medicare billing records. They may have witnessed fraud hundreds of times yet without specific examples, some courts say they don’t have enough. Sometimes, we never can get those records and must rely on the government to audit and investigate the accused wrongdoers. Since Medicare has those records, once the government decides to intervene, the complaint can be amended and real world examples added. Not in this case. While dismissals of cases are common when the government does not intervene, the court in this case dismissed despite government intervention. That makes this a rare loss for the government. Thankfully, the government has the opportunity to fix the defects in the complaint and refile. Century and the hospitals all settled last year. Liberty chose to fight the Medicare fraud charges and last month scored a rare win. For now. We are confident the government can fix its complaint and proceed. As this complaint points out, mere knowledge of wrongdoing isn’t enough. Often a good whistleblower lawyer can find a jurisdiction where pleading standards are a bit more relaxed. 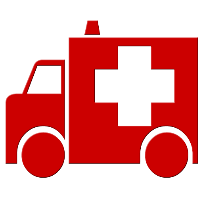 For ambulance companies operating in multiple states, that is often easier than with cases against hospitals which must be brought where the hospital is located. There is much at stake in this complaint. Pelletier and the government believe that Liberty’s alleged Medicare fraud could be as high as $10,000,000. With triple damages, the case is huge. Whistleblowers who file Medicare fraud lawsuits under the False Claims Act are entitled to an award of up to 30% of whatever the government collects. In cases where the government intervenes, such as this one, awards are commonly between 15% and 20%. To qualify for an award, one must have original source (inside) information about the fraud. Need more information? Give us a call. We believe whistleblowers are the new American heroes. They save taxpayers billions of dollars each year, are our front lines against corruption and greed and even save lives. Giving ambulance rides to people who don’t qualify hurts us in our wallets. Some sinister healthcare providers perform unnecessary surgeries and treatments. Those Medicare fraud cases can cause physical harm to our loved ones. or by telephone at (414) 704-6731 (direct). See also our recently updated EMS and ambulance fraud and new ambulance fraud legal update posts. Our whistleblower clients have received over $100 million in awards. Let us help you get your award.